Hewitt Associates, The RBL Group and FORTUNE just announced their 2009 Global Top Companies for Leaders (not to be confused with the annual Hay Group CEO Magazine Best Companies for Leaders). LINCOLNSHIRE, Ill. — IBM, Procter & Gamble and General Mills head the 2009 list of Global Top Companies for Leaders, the most comprehensive study of organizational leadership in the world. The Global Top Companies for Leaders study is conducted by Hewitt Associates, a global consulting and outsourcing company, in partnership with The RBL Group, a strategic HR and leadership systems advisory firm, and FORTUNE. This year's winners were selected and ranked by an expert panel of independent judges based on criteria including strength of leadership practices and culture, examples of leader development on a global scale, impact of leadership in communities in which they operate, business performance, and company reputation. The 2009 list, attached below, can be found on Fortune.com today and will appear in the December 7 issue of FORTUNE, on newsstands November 23. When comparing the Global Top Companies with more than 500 companies around the world, Hewitt identified one distinguishing characteristic that sets them apart from their peers — even during the economic downturn, Global Top Companies remained committed to building leadership capability within their organizations. In other words, tighter budgets and fewer resources forced these organizations to think and act smarter and more creatively about what really mattered when it came to leadership — but they didn't lose focus. "Strong leadership is a critical element in helping global companies successfully compete, yet many organizations lack the know-how and infrastructure to create a robust pipeline of leaders for future success. Simply put, they lack the discipline to build leaders," said Robert Gandossy, global practice leader of Leadership Consulting at Hewitt. "Our research and experience tells us that while leadership talent is in short supply around the world, the Global Top Companies for Leaders are still able to groom a near-constant supply of world-class leaders . . . year after year and regardless of economic conditions. This capability gives them a unique advantage over their competitors and will poise them to emerge stronger — and more quickly — out of the economic downturn." "The quality of the leadership within a company helps meet the expectations of investors, customers and employees, and sets the stage for growth," said Norm Smallwood, co-founder of The RBL Group. "So developing the next generation of effective leaders is perhaps the most important undertaking of a forward-thinking company. The Global Top Companies for Leaders understand the urgency of a robust leadership culture and are learning to master how to build and sustain one." Since the study's inception in 2002, Hewitt has identified a set of standard leadership characteristics embodied by companies that possess a winning leadership culture, including the 2009 Global Top Companies for Leaders. Leaders at these organizations are passionate and committed. Their leadership programs are practical, relevant and aligned with business goals. Top Companies have an intense focus on talent, and they are deliberate about who they hire, who they coach, who they promote, and who they reward. Finally, leadership development at these organizations is an institutionalized practice and mindset. Leadership remains a critical priority — in good or bad economic times. According to Hewitt's research, all companies ranked cost pressure as the single most pressing challenge over the next three years. Stabilizing cash and debt positions and balancing immediate cost pressures with long-term growth were key priorities in 2009, and they will remain a top priority as the global economy begins to recover. However, Global Top Companies also plan to have an intense focus on ensuring they do not abandon key leadership and talent efforts in favor of shortsighted goals. As A.G. Lafley, chairman of the board at Global Top Companies winner Procter & Gamble, explains, "All the value we create comes from our people — that doesn't change if we are in a recession or if we are growing rapidly." 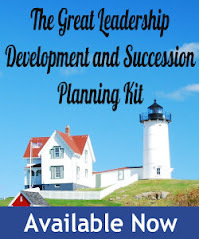 Succession planning is deliberate and consistent. All Global Top Companies have a formal succession planning process in place, compared to only 72 percent of all other companies. Almost all (95 percent) have developed succession plans specific to the CEO or an emergency plan, compared to just under two-thirds (63 percent) of all other companies. Succession plans at Global Top Companies are also more likely to offer specific elements to ensure the capabilities and depth of their pipelines are strong. Eighty-four percent of Global Top Companies identify a leader's current performance against his/her future potential, compared to just 64 percent of all other companies. In addition, 88 percent offer 360-degree feedback, compared to just over half (56 percent) of all other companies. Leaders clearly understand what is expected of them as leaders. Leaders at the Global Top Companies understand what is expected of them and are held accountable for their actions. Seventy-two percent of Global Top Companies rate the ability to effectively develop other leaders as one of the top five leadership skills most critical to their firm's success, compared to just 39 percent of other companies. More than three-quarters (76 percent) also rate "demonstrating company missions and values" as one of the top five most important factors in determining strong leadership performance, compared to 57 percent of all other companies. "We are a company that has succeeded in having its leaders take responsibility for assessing talent, engaging talent in 'what's next' conversations and looking at moving talent across lines, businesses, geographies, and functions. We think deeply about our leaders of tomorrow," said Ted Hoff, vice president, IBM Center for Learning and Development. Developing the next generation of leaders is a priority. Hewitt's research shows that Global Top Companies recognize that the ability to attract, assess and develop leaders across roles, functions and geographies is a necessary and differentiating strategy. All Global Top Companies formally identify high-potential talent, compared to 68 percent for all other companies. All of them also have formal processes for developing leaders, (compared to 77 percent of other companies) and use leaders as teachers and mentors (compared to 55 percent of all other companies) in these efforts. As a result, 96 percent of Global Top Companies say they are attracting the quality leadership talent they need to be successful, compared to just 65 percent of all other companies. As Dr. John C. Lechleiter, chief executive officer of Global Top Companies for Leaders winner Eli Lilly, notes, "There were a lot of people here to help us win the last war, but we need to develop people to win the next war — all the while continuing to ground ourselves in the company's values. We take the long view in respect to people development; we still talk to people about building careers here." Hewitt Associates (NYSE: HEW) provides leading organizations around the world with expert human resources consulting and outsourcing solutions to help them anticipate and solve their most complex benefits, talent, and related financial challenges. Hewitt works with companies to design, implement, communicate, and administer a wide range of human resources, retirement, investment management, health care, compensation, and talent management strategies. With a history of exceptional client service since 1940, Hewitt has offices in more than 30 countries and employs approximately 23,000 associates who are helping make the world a better place to work. For more information, please visit www.hewitt.com. The RBL Group is a strategic HR and leadership systems advisory firm. For over 25 years, its principals have collaborated with leading global organizations to strategically align corporate and business strategy to ensure sustainable high performance through the integration of theory, applied research, and practice. The RBL Group has trained and redesigned some of the best-managed companies in the world, helping them achieve significant improvements in bottom-line results. It is recognized internationally for innovative research and publications on Leadership, Intangible Assets and Strategic HR, including hundreds of articles, more than 400,000 books sold, numerous industry awards, and recognition as outstanding educators and advisors by leading business publications. For additional information about The RBL Group, its principals and expertise, visit www.rbl.net. 8. Titan Cement Company S.A.
9. China Mobile Communications Corporation - Shanghai Ltd.
Management Best Practices or Just an Illusion?